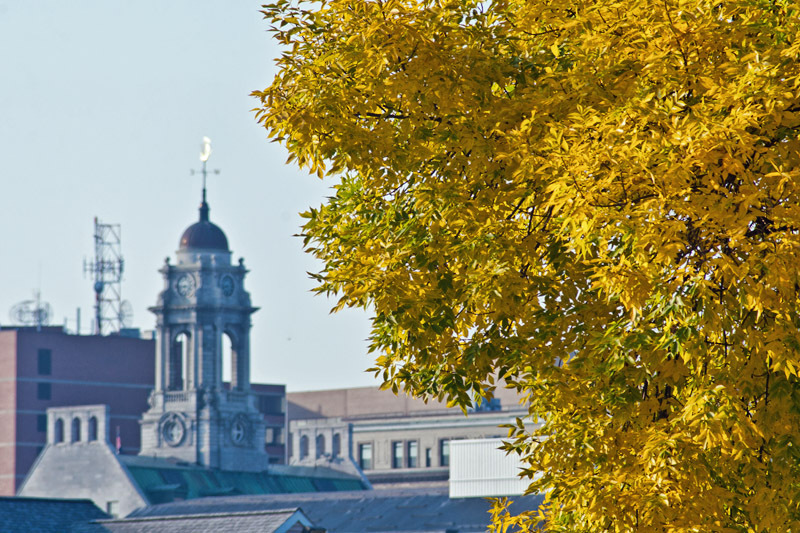 A view of City Hall and some scenic foliage in the Bayside neighborhood. Hi Corey, I've just been checking out your latest posts (thank goodness the portal is back), loving all your autumn colours AND you solved a mystery for me ...when you showed your 50mm lens and referred to it as the 'nifty fifty' I always wondered what that meant and it's as simple as that oui! So it seems I have a nifty fifty too, excellent! Thanks for the comment, hope things are well down in Australia! I can't remember where I first heard the term "nifty fifty" or if it is supposed to refer to only a certain 50mm lens, but I think it is a good description given how much I enjoy my Nikon 50 1.8D.